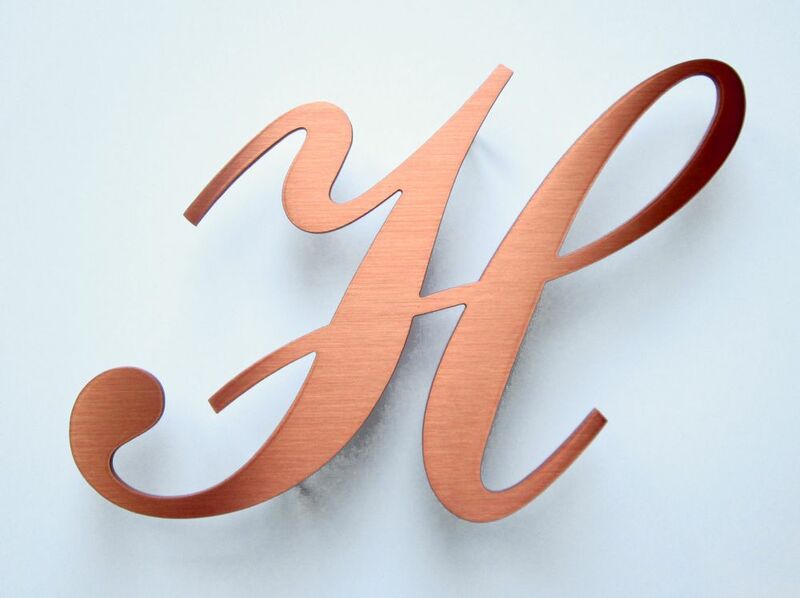 Solid copper letters are available custom cut to order in either a polished or brushed finish. Any font, any height. 3mm, 6mm, 9mm thick depending on availability of the sheet material from the merchants. Letters are usually clear protective coated. Copper letters have threaded rods fixed to the back ideal for fixing into masonry. A paper template is also supplied. Solid copper, prestigious sign letters, quality sign lettering ideal for permanent sign requirements.